Discussion in 'Effects, Pedals, Strings & Things' started by Anthropomorphic, Mar 1, 2012. I have around 10 pedals running off couple of power supplies: 18v(150mA) 3 pedal Daisy chain, 9v (700mA) daisy chain for the rest. I've added up the mA consumption of the chains and should be more then enough. Now to the problem: In general the pedals are quiet, but sometimes a strange static noise builds up. When i turn off the power and on again, then all is quiet again. This has happened twice at a specific rehearsal room, but i can not get the noise build-up to happen on demand to find the source of the problem. I've had noisy pedals before, but always with a CONSTANT hum or static. Now im not sure what's the problem and would a power supply with isolated outputs like voodoolabs plus2 fix the problem? Has anyone had this kind of problem before? Try powering the pedals with batteries and see if that helps. If so I'd ditch the power supply and get one that's isolated. It happens in my rig too. I found that it is my CMATMODS Signa Drive that producing the static noise (as my DS-1 is dead quite when engage). Isolated power supplies make a world of difference. Truly. I'm curious what three 18v pedals you have that add up to less than 150mA. I would bet one of those is the problem. Chaining some digital pedals, especially digital delays, along with analog dirt circuits can get quite noisy. I had some Marshall Echohead pedals that really did not like being on the same power chain as any fuzz pedal. For the 18v 150mA adapter, had it running MXR Stereo Chorus, 10band EQ and OCD, no problem there. 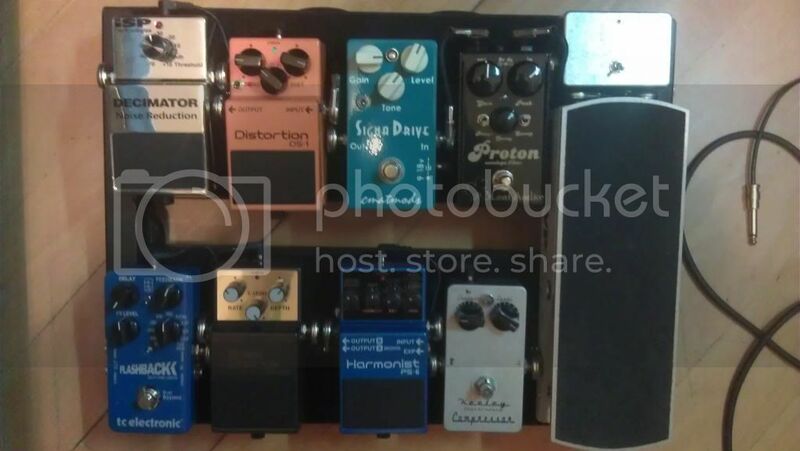 Don't know a single pedal that actually needs 150mA, not counting the multi-fx pedals.